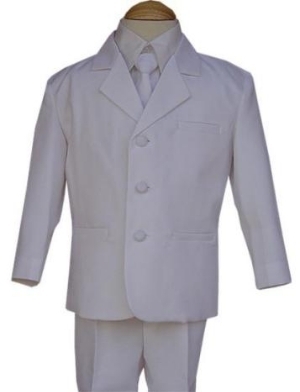 Virgin Mary Communion Dresses, Boys Christian White Suit. 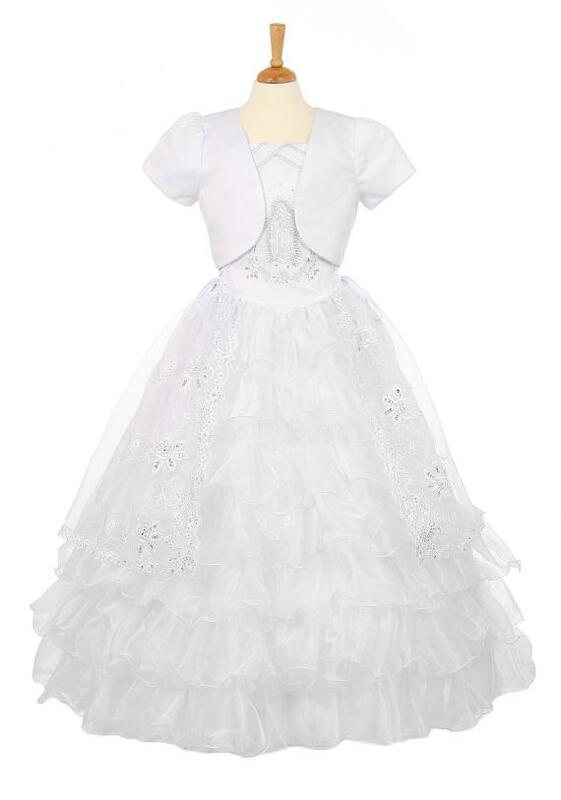 First Communion dresses, Virgin Mary Communion Dresses and Boys Communion suits. 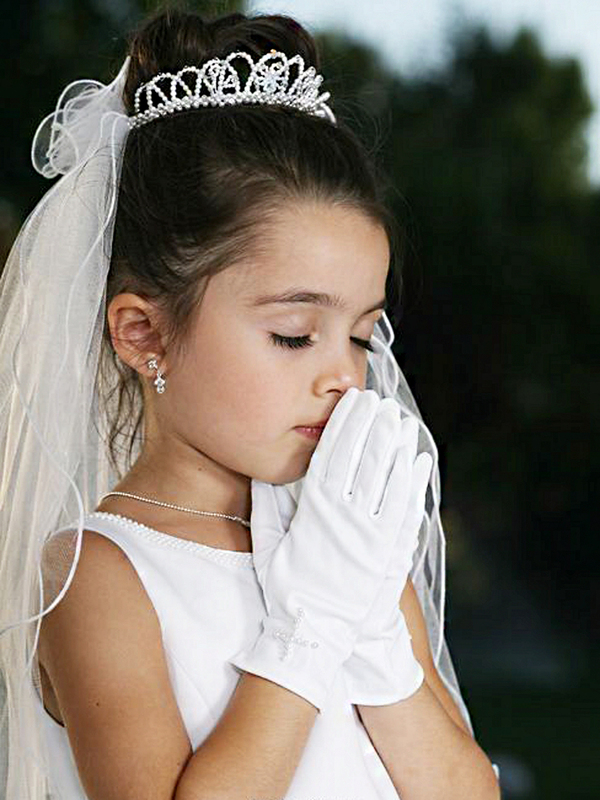 Make Your Childs First Holy Communion Special! 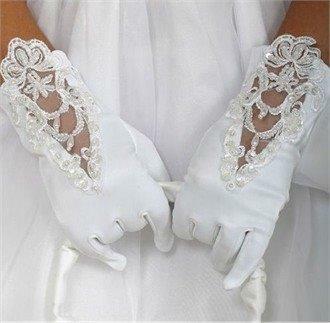 Traditional communion dresses are long formal dresses and have lavish embellishments. 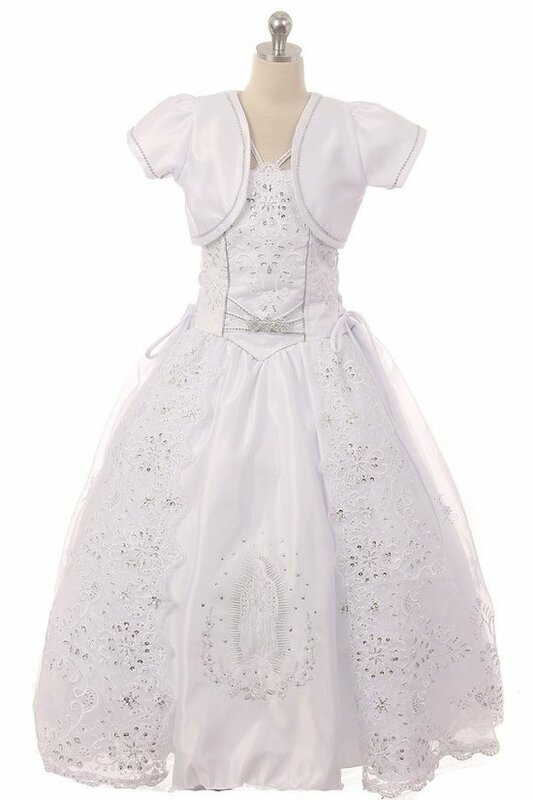 Classic communion dresses are less elaborate than the traditional dress and have some form of pearl or bead embellishment. Modern communion dresses have very simple lines. Dresses on this page are ready to ship in 10 to 14 days. Some styles offer 5 day Quick ship. 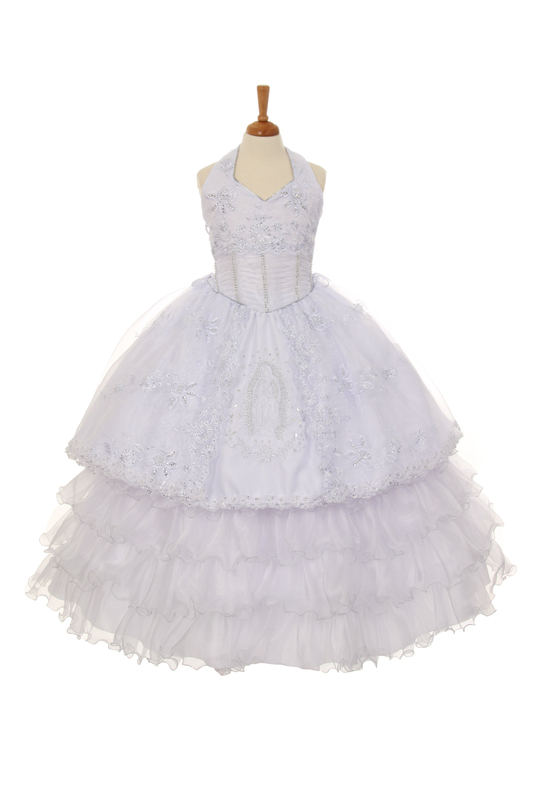 We keep a few communion dress styles in-stock. 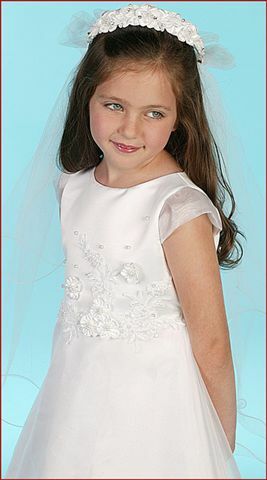 We also carry Custom First Communion Dresses. 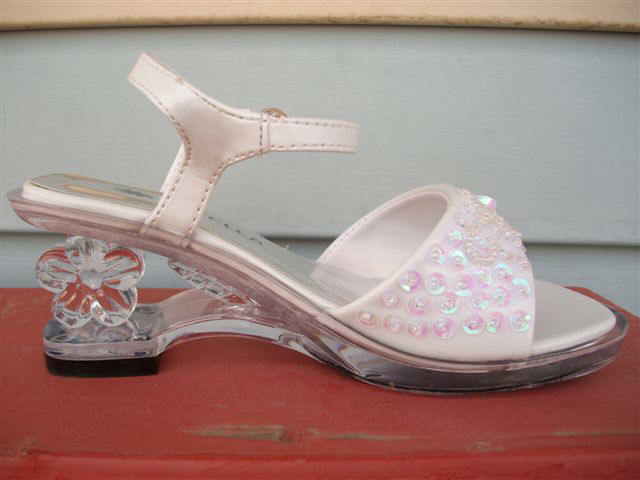 Elaborate style dresses that are made to order and take 8 weeks for delivery. 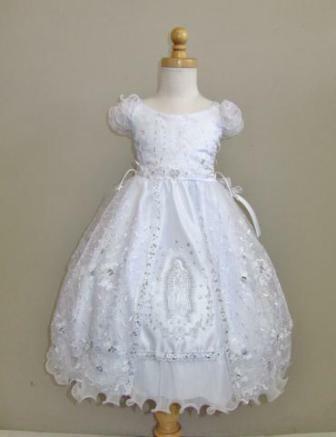 Beautiful First Communion dress with rhinestone decorated Virgin Mary embroidery. 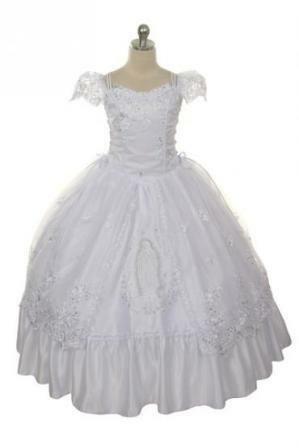 Gorgeous halter communion dress with ruffled skirt and bolero. Satin Bodice with Tulle Skirt. Tea-Length Confirmation Dresses for Teenage Girls. 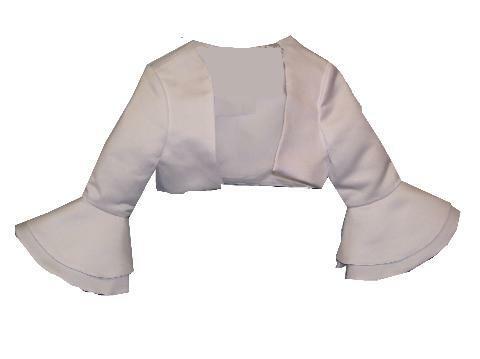 Jacket has three quarter length flair style sleeves. 3 button complete 5 piece suit includes jacket, pants, shirt, vest and long tie.